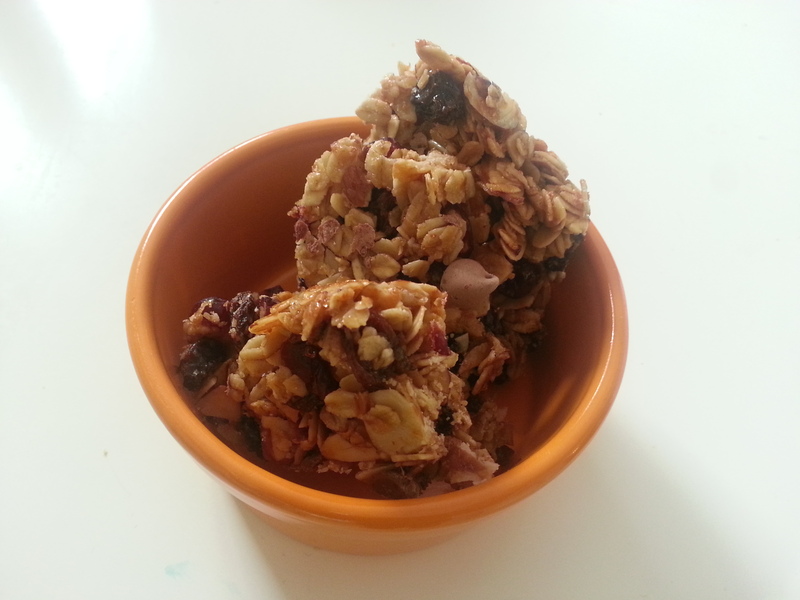 I’ve been wanting to learn to make homemade granola bars for a while now. They are the easiest thing to grab while you are running out the door but I figured they must have a lot of steps and ingredients. When I was given this recipe from the family I nanny for I figured okay, maybe I can try this. But then when the 12-year-old whipped this out in about 20 minutes I figured this is something I have to try! Enjoy this simple and easy recipe. 1. Preheat oven to 350⁰. Butter baking dish and line with Parchment Paper. 2. Cover Paper with almonds and oatmeal and bake 10-12 minutes stirring occasionally. 3. Transfer mixture into large mixing bowl and add wheat germ. 4. Reduce heat to 300⁰. 5. Place butter, honey, sugar, vanilla and salt into a small sauce pan. Bring to a boil over medium heat. 6. Pour over oatmeal mixture and stir together. Stir in fruits. 8. Let cool 2-3 hours before serving at room temperature. I will love to try this recipe. It looks yummy, healthy and simple!